Wow! Sounds like they had a great relationship–one that produced the best work possible. I know, Linda! We both know what it takes to be a good (and helpful and nurturing) editor. Sometimes it isn’t easy . . .
Whoops! You can ignore my email, Mrs. Taylor. I sent it before I read the blog. Great post! Ha! 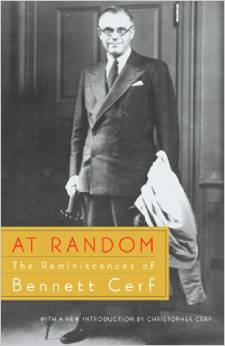 I went in and hyperlinked the title to Bennett Cerf’s book (should have done it in the first place . . .).